Barbu d’Uccles are known in Europe since the beginning of the 20th century. In England they were known as “garden-fowl” and in Germany they were referred to as “Mille fleurs”, a French name that means ‘thousand flowers’. Belgium is named as the place of origin and more specifically the village Ukkel. 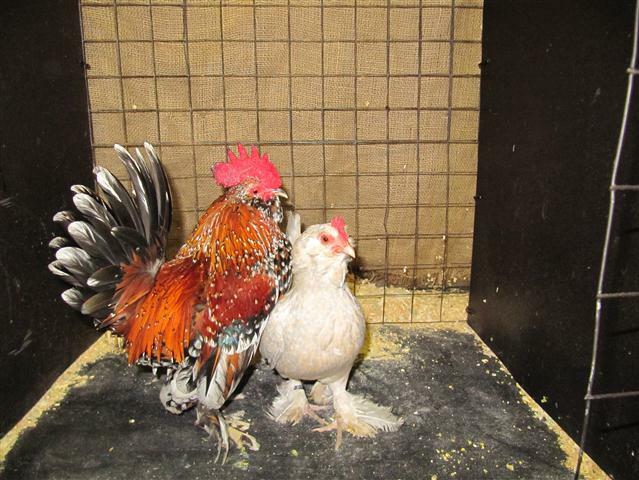 Barbu d’Uccle means the bearded one from Uccle. The merchant of Brussels, Michel van Gelder, is said to be the man who developed this breed by crossing the Sabelpoot with the Barbu d’Anvers. 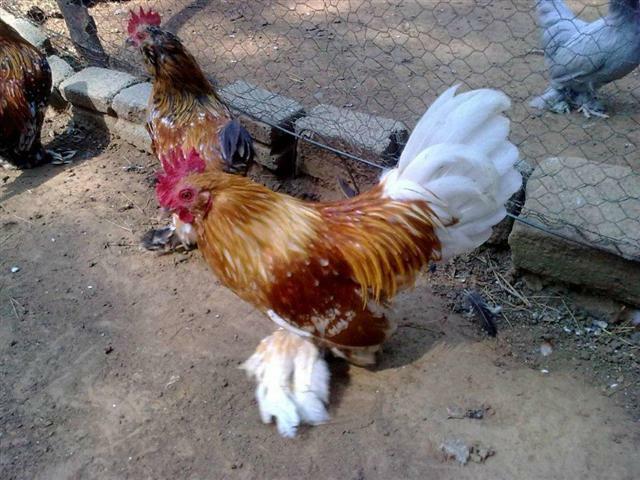 The d’Uccle is always single combed and feather legged, but in type quite like the d’Anvers, with a high carried tail.